This first official history of the town documents the run-up of events that culminated in the iconic Woodstock Festival of 1969, and serves as a reminder of the values and artistic impulses that underpinned a more idealistic era. 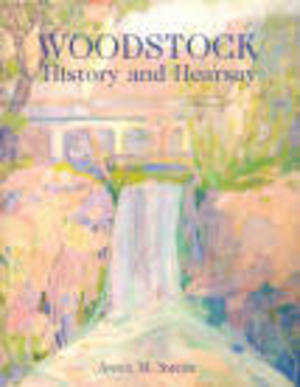 It tells the story of Woodstock from the time of the Amerindians, up through Revolutionary days, the glass-making era, the down-rent war, and the establishment of a utopian arts enclave during the early 20th century. With an artist's eye, a worldly sophistication and a you-are-there charm, Smith weaves in tales of witches, farmers, mountain folk, Second World War veterans, and an astonishing array of fellow artists, neighbors and visitors that include Eleanor Roosevelt, John Burroughs, George Bellows, Helen Hayes, James T. Shotwell, John F. Carlson, Yasuo Kuniyoshi, Edward G. Robinson, John Dewey, Pete Seeger, Carl Walters and many others. The second edition includes a great deal of new material, including extensive endnotes, a bibliography and an expanded index. With the addition of close to 200 art reproductions, maps and images of local personalities, it showcases the work of the many creative people who have called Woodstock their home.